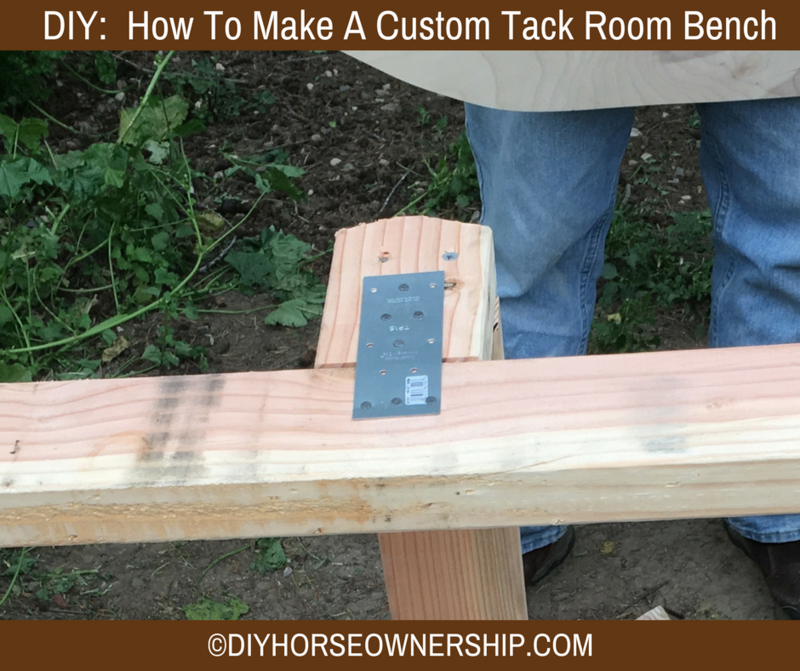 I’ve been wanting a bench in our trailer tack room for as long as we’ve had it. I hate trying to change into my breeches and boots while hopping around in the crowded tack room. 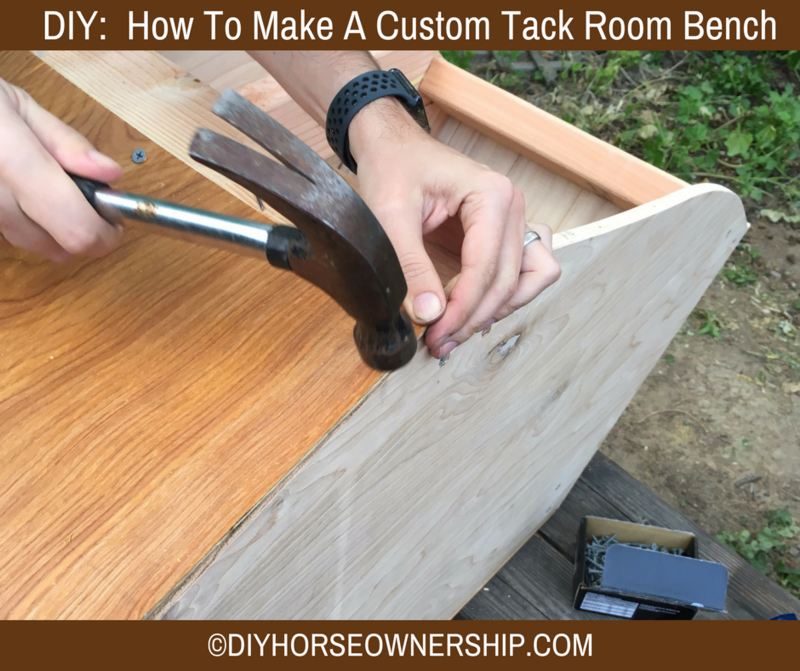 I could have just bought a bench, but our tack room is so tiny and oddly shaped (as all tack rooms are) that a store-bought bench would never have fit perfectly or worked the way I wanted it to. 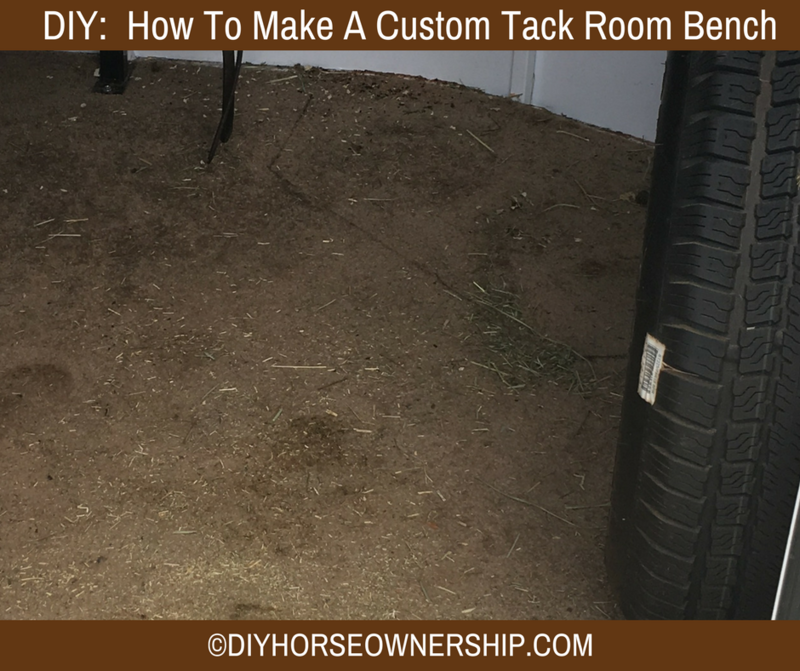 I really wanted the bench to serve as both seating and storage because our tack room is just too small for it to only do one thing. So we decided to build our storage bench. 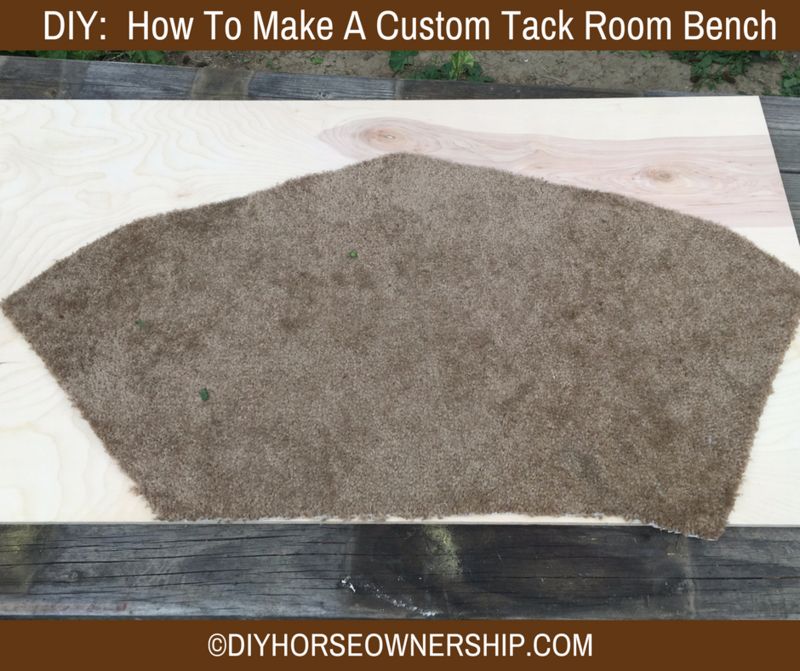 When we replaced the tack room flooring, I drew out the shape I wanted onto the old carpeting. 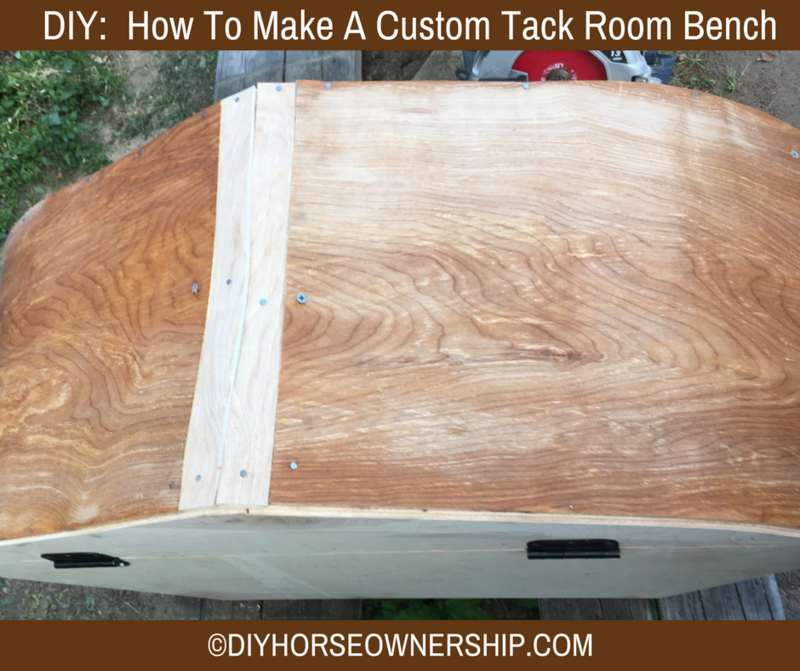 This way we would know exactly how big to make the bench and have a perfect outline of the shape we needed to fit between the saddles, the spare tire, and follow the curve around the outside wall. 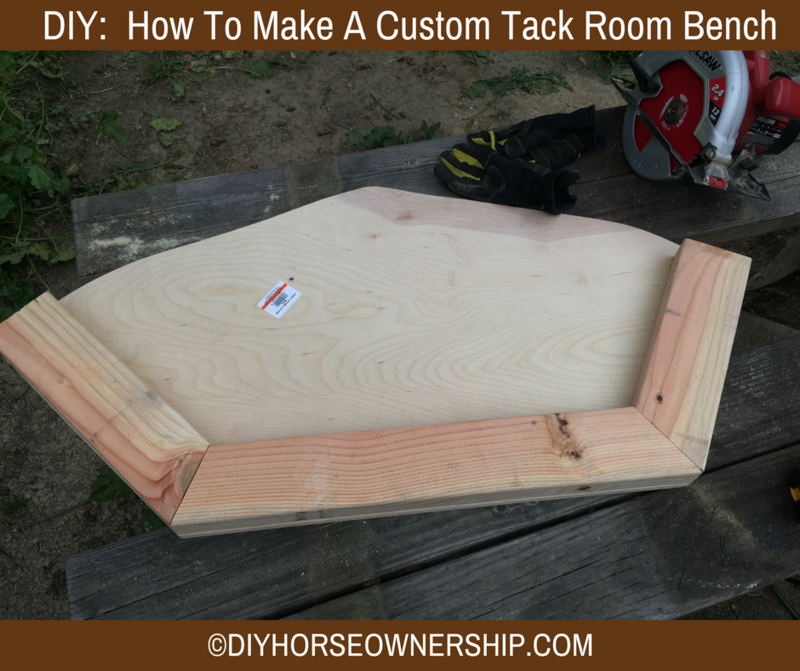 Once we pulled the carpeting out, I cut out the bench shape and used it as our base template. Everything in this how to guide is based on this template. If you want to make your own and can’t draw on and cut up your flooring, lay some paper down and cut that up. I’m sure professional carpenters could do it all off of measurements, but we are not professionals, and this isn’t written for professionals. Plus, if I just shared measurements, it wouldn’t work for your trailer. You need your own template. You need a circular saw, jigsaw, screwdriver, hammer, measuring tape, nails, screws, sandpaper, 2 metal deck tie plates, 2 hinges, and wood. I can’t tell you exactly how much wood you’ll need since your bench is going to be a different size than my bench. We took the template to Home Depot with us and bought the plywood boards based on the template’s size. You’ll need good plywood for your base and top. We used 2 pieces of 24″ X 48″ X .5″ birch plywood. These were rather expensive, but you really don’t want cheap plywood that’ll crack and break on you. 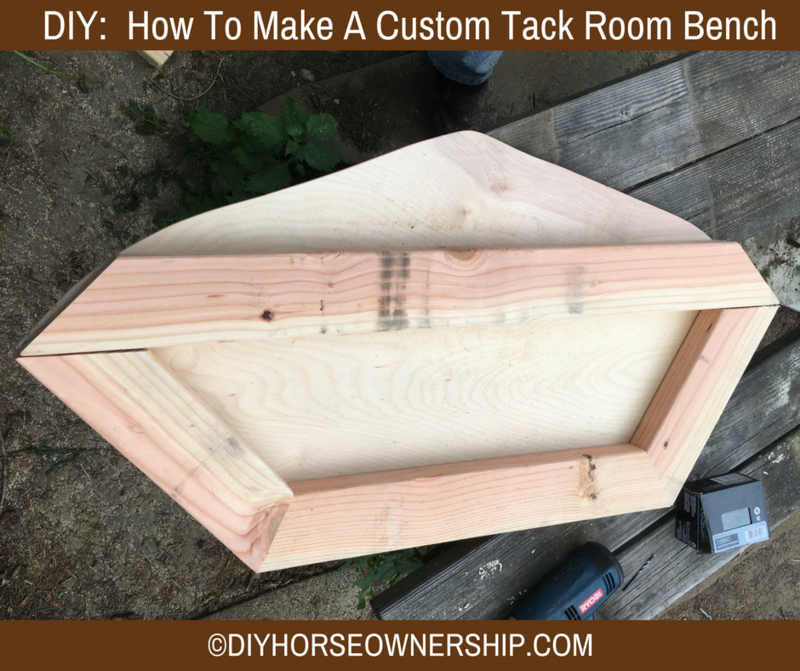 You will need two 2″x4″x8′ boards, a package of cedar wood paneling, and a piece of very thin cheap plywood for the back. 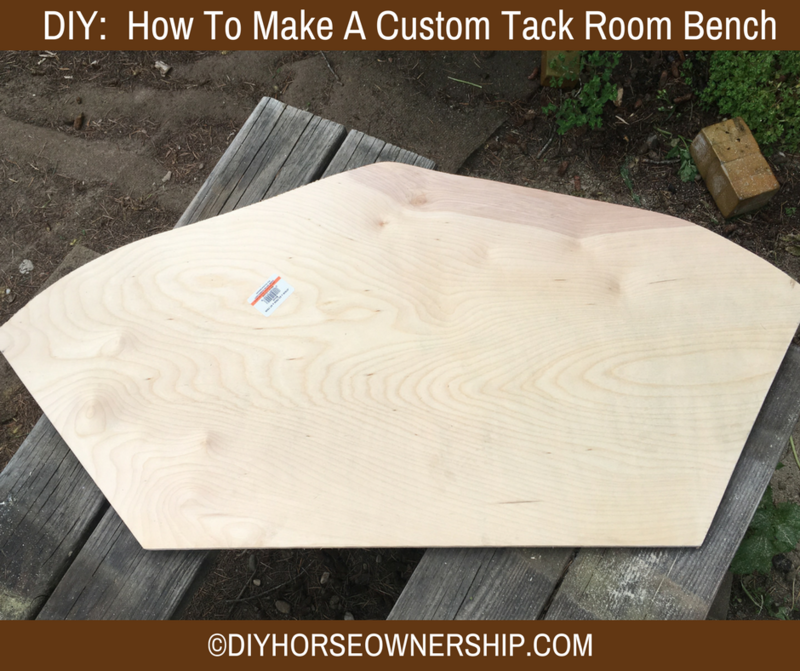 Step 1: Place your template on the first piece of plywood and trace around it with a pencil. Because I free-handed the outline, it was a bit wonky. We ended up cutting around that chunk sticking out on the bottom right to make the front straight. Step 2: Use your circular saw to cut the straight edges. You’ll need a jigsaw to cut the curved back edge. Step 3: Sand your edges. Step 4: Use your same template to cut another plywood shape. 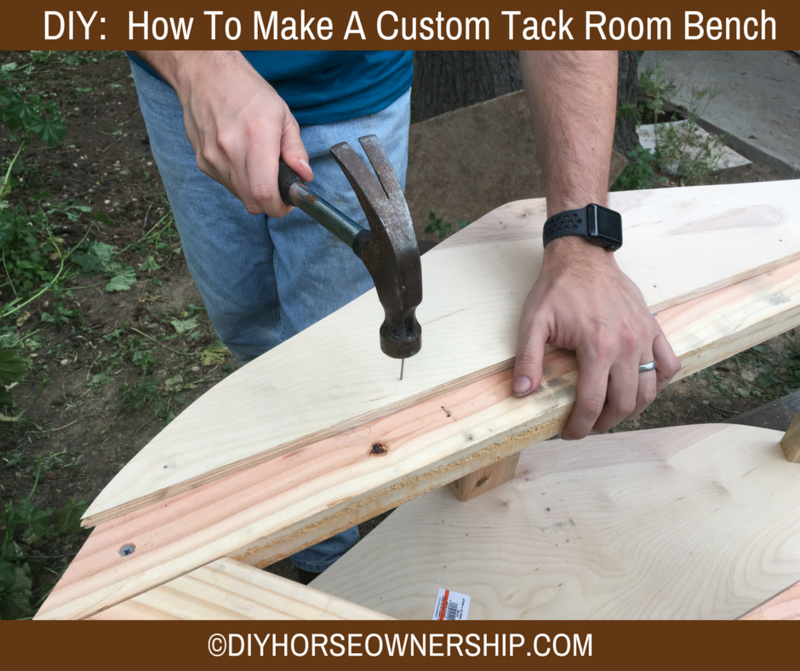 This second piece should be 1/2″ longer on the front 3 sides (keep the same size long the back curved edge). This second piece is your top. You can set it aside for now. 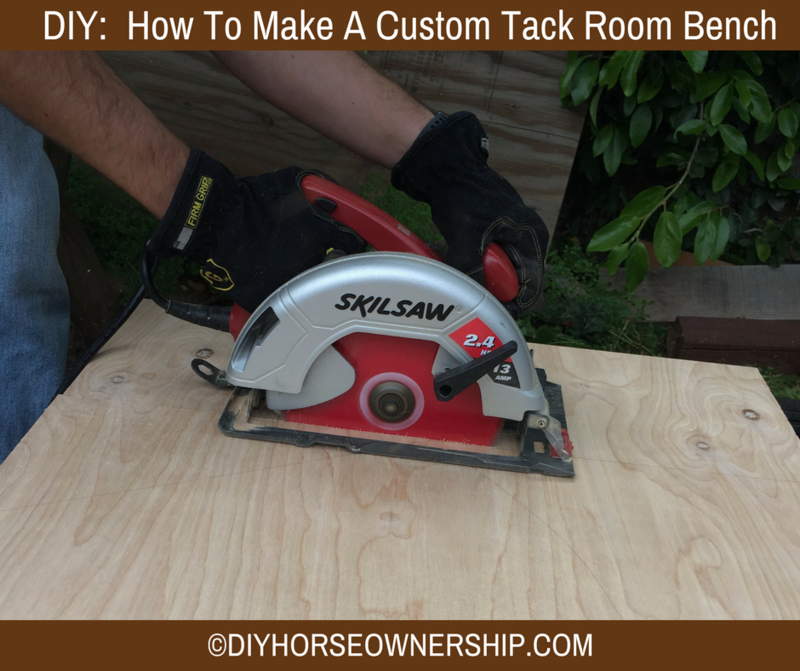 Step 5: Cut out 2″x4″ pieces to fit along the front edges of the smaller plywood base. 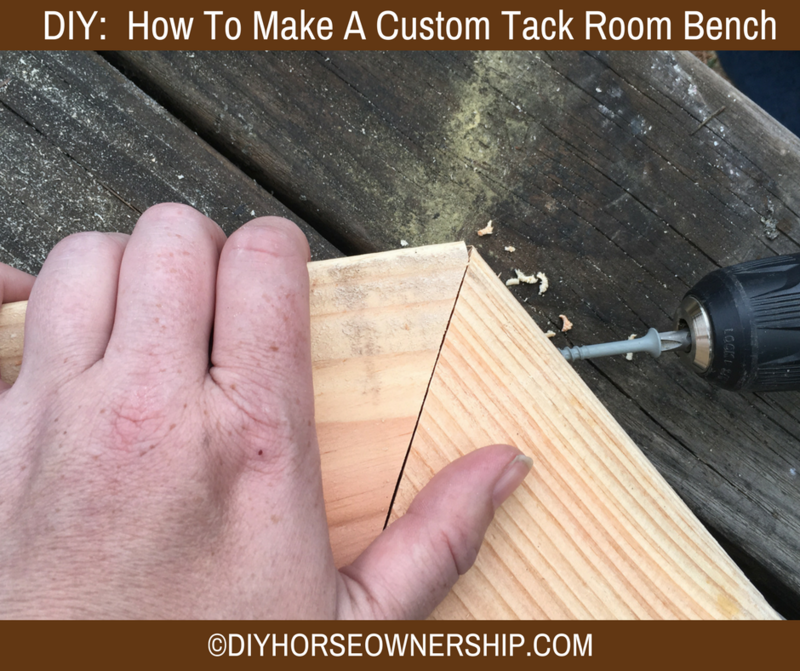 Step 6: Add a long piece of 2″x4″ to connect the front 2″x4″s. Step 7: You’ll also need a small piece of 2″x4″ to stick out from the middle of this long piece towards the back. I forgot to get a picture before we added the legs, but this is the extra piece. Attach it with the 2 metal tie plates. Step 8: Using wood screws, connect the 2″x4″ boards at the corners by screwing through one board into the other. Step 9: Once the 2″x4″s are all connected, you’ll need to cut five 14″ long 2″x4″s. These are the “legs” of the bench. Then screw your polygon onto the legs. You can see in the picture that you want to align the legs so that you screw through each part of the polygon’s 2″x4″ boards. So each screw goes through one part of the polygon and into the leg. Step 10: Once all your legs are attached, flip the structure over. 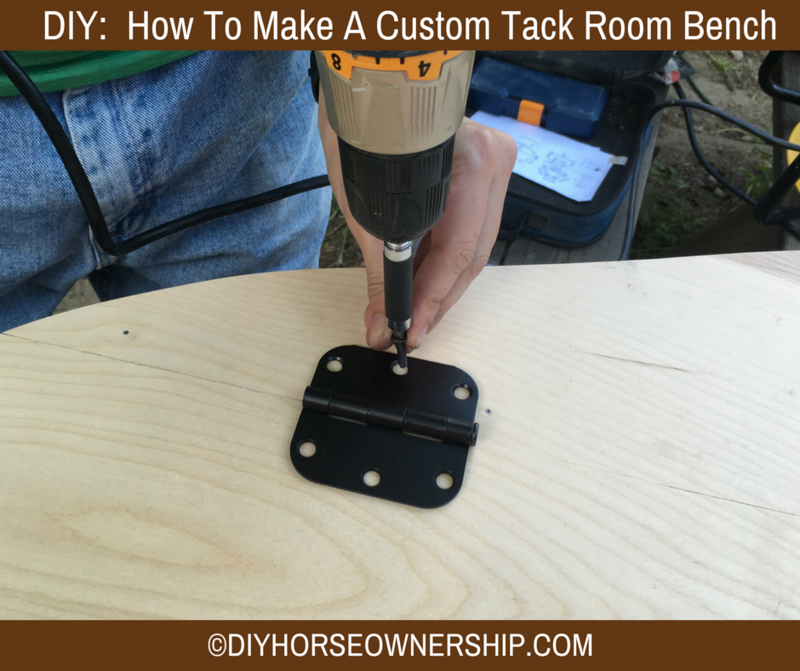 Now you can attach your smaller plywood base with wood screws. Step 11: Flip the bench back upright and it should look like this at this point. 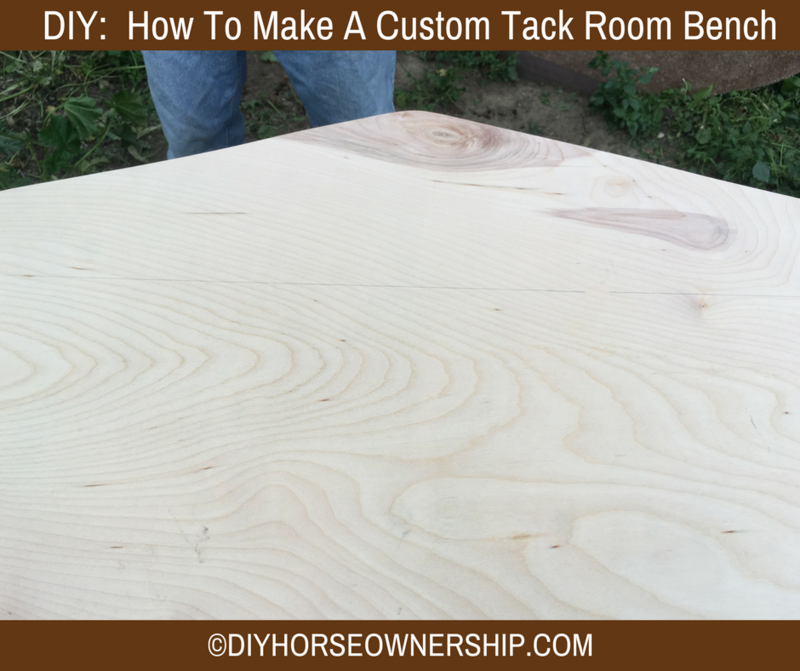 Step 12: Place your large plywood piece on the bench and determine where you need to cut the top. You want to have the cut be along the middle of the longest 2″x4″. Draw the line with a pencil and then cut the board. Step 13: Using finishing nails to nail the back part of the lid onto the bench. 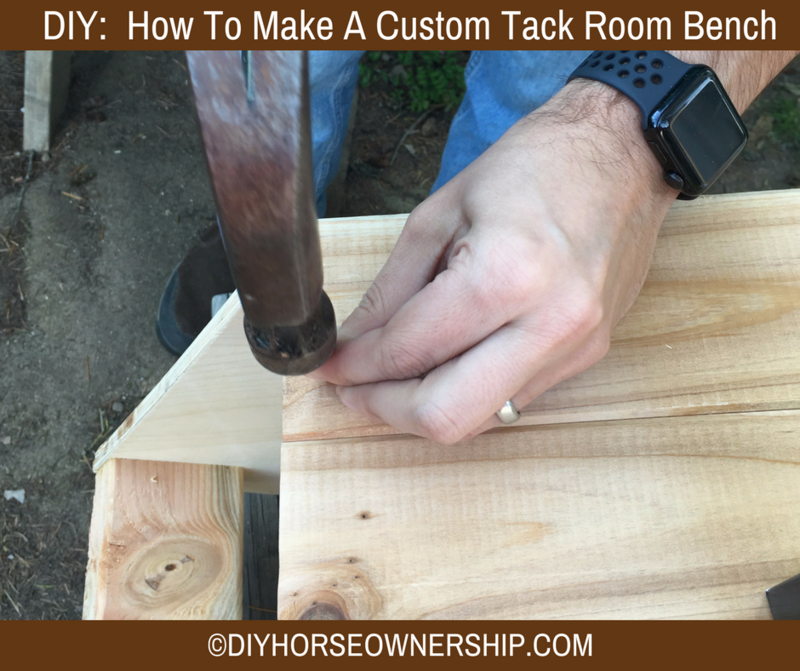 Step 14: You’ll need to measure the length of the front of your bench and cut your cedar wood paneling to that length. For example, our front was 24″ long. We cut five 24″ panels. The 5th one needed to be cut lengthwise to fit the height of the bench. Step 15: Line up your paneling, making sure each piece is tapped into it’s neighbor and then nail them in with finishing nails. Step 16: Continue cutting and nailing the panelling for the other two front sides. 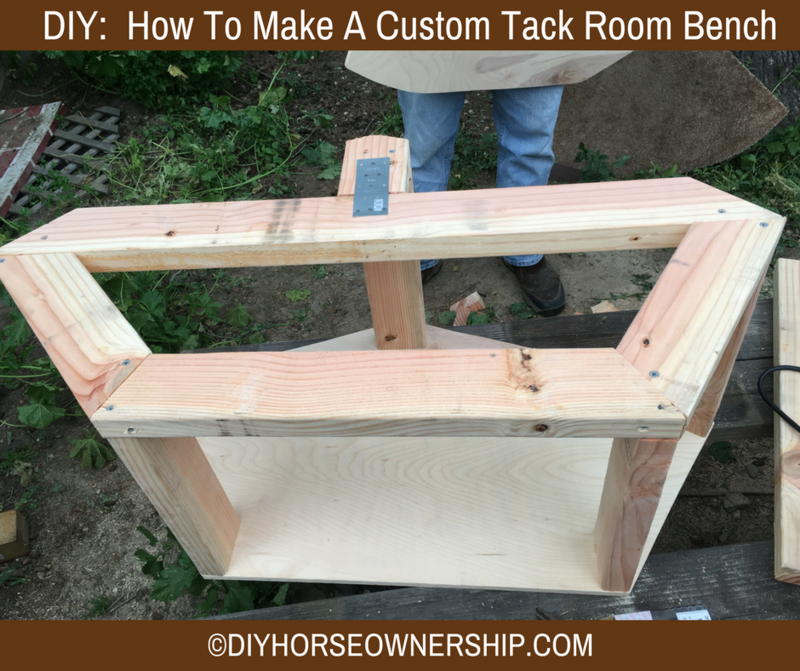 Step 17: Flip the bench upright again and now you can attach the lid with the hinges. 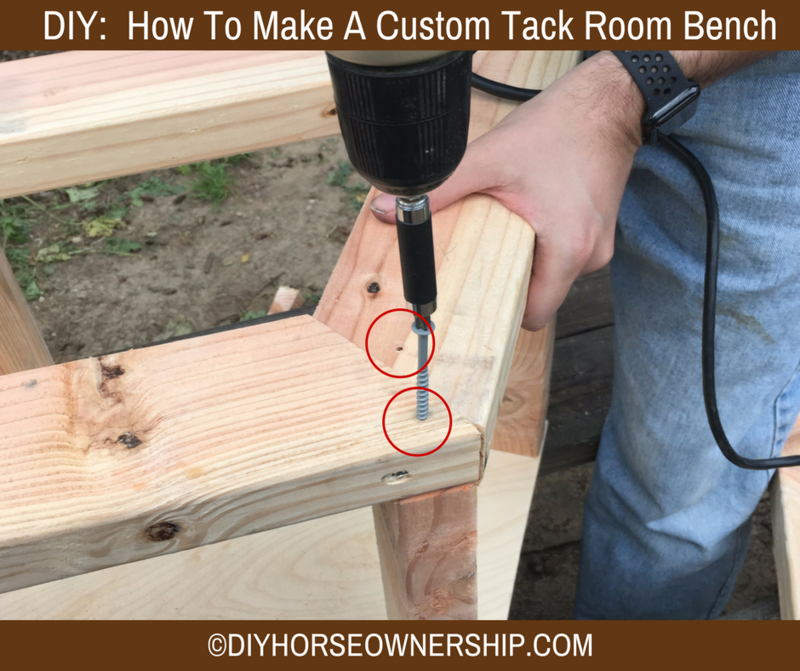 Because the back part doesn’t move, you can use longer screws that go into the 2″x4″. 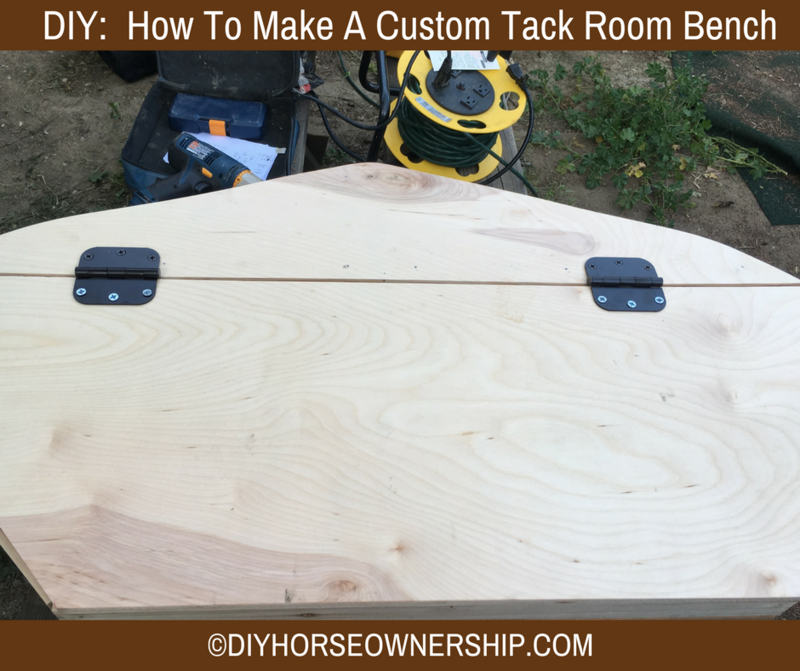 Step 18: Move the front part of the lid out slightly and attach the hinge using shorter screws so the screws won’t go into the 2″x4″ beneath. You need the gap to allow the lid to swing open and shut. Step 19: You should be able to open and close your lid at this point. 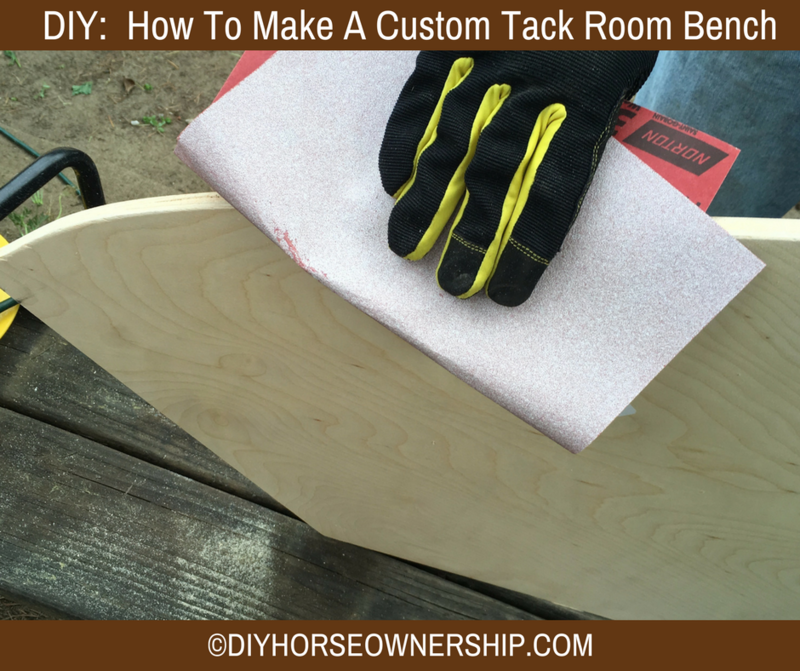 Step 20: You’ll need to cut your thin plywood to fit the back of your bench. Again, you’ll need to measure your own bench. 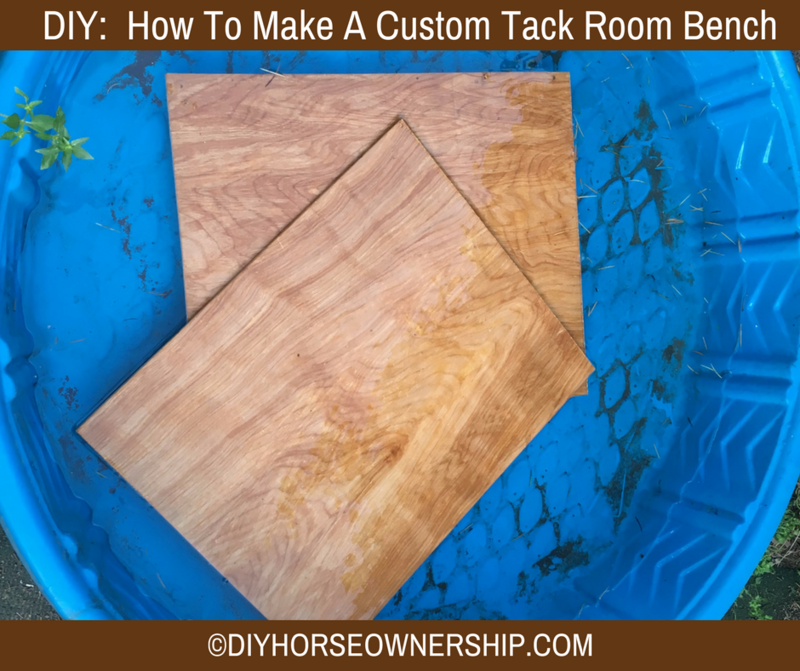 Cut the boards in half and soak them in a kiddie pool until soft. Step 21: The soaked wood will bend around the curves of your bench’s back. 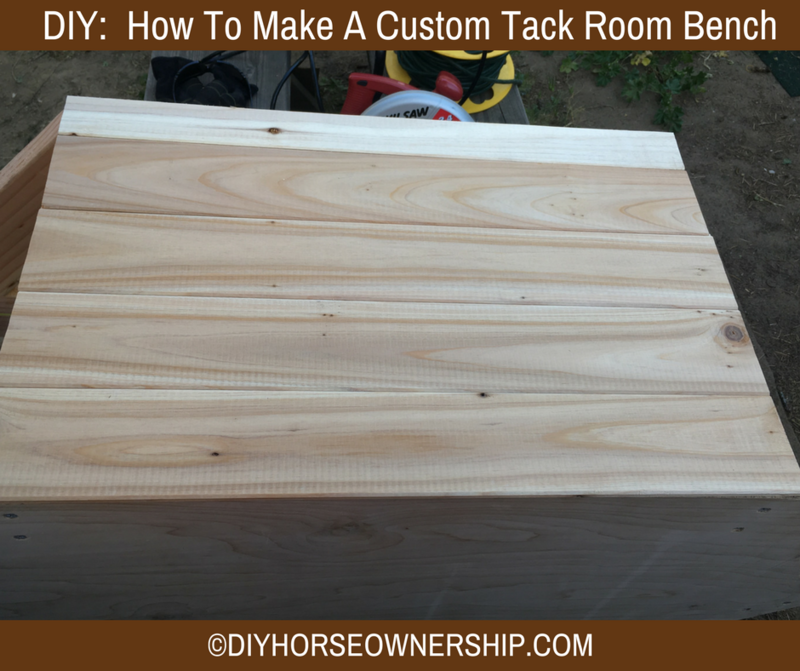 Use finishing nails to attach the thin plywood to the base and lid. 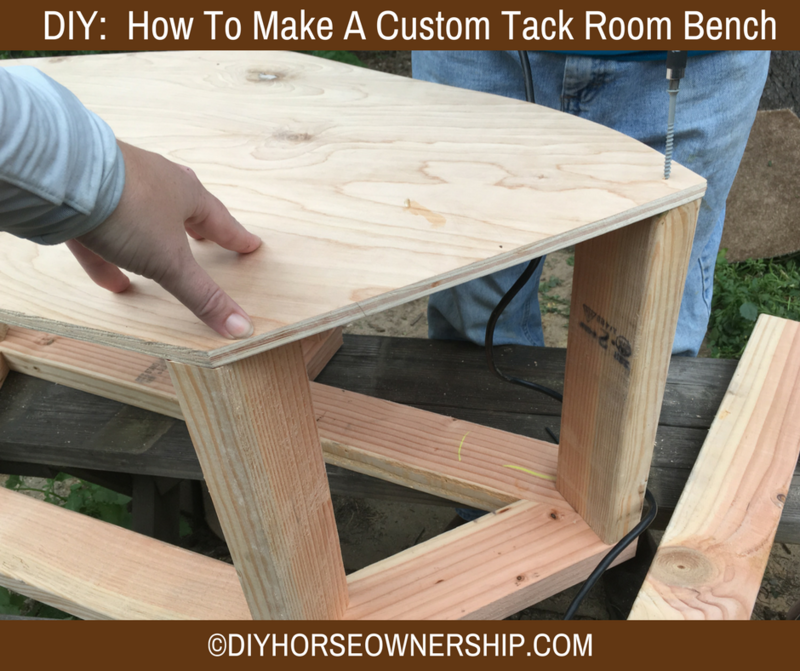 Where it meets with the 2″x4″ legs, use wood screws to more securely connect it. Step 22: While the soaked wood will bend around the lesser curves along the back, it’ll crack if you try to bend it around the sharper curve at the middle of the back. We used some smaller plywood strips to fill this gap. While the color looks wrong here, that’s just because the larger pieces are still wet. It all looks the same once it’s dry. And even if it didn’t, this is the back. No one will ever see it. 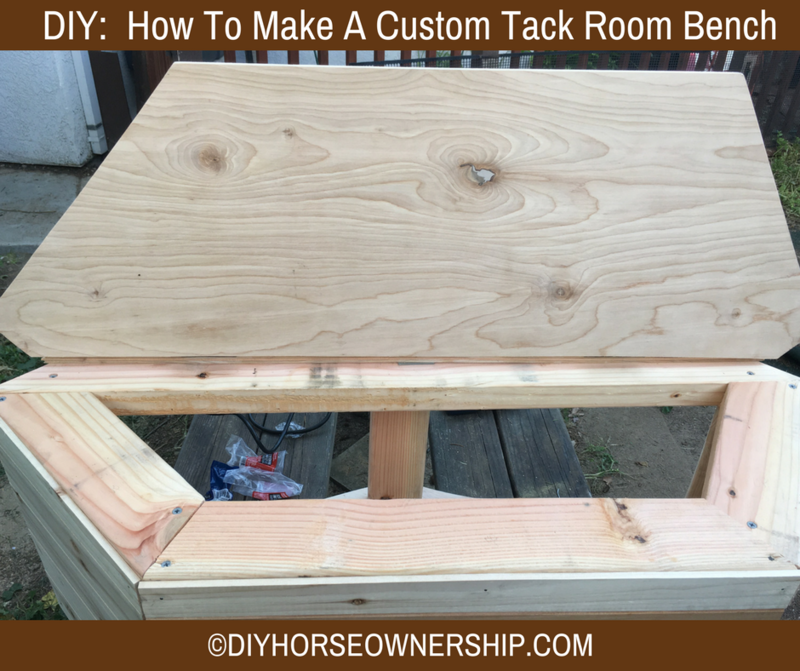 Step 23 (optional): Stain and seal the outside of your bench. If you want to stain the inside, go ahead, but we wanted to leave the cedar exposed because it smells great and will help keep anything stored inside safe from moths. 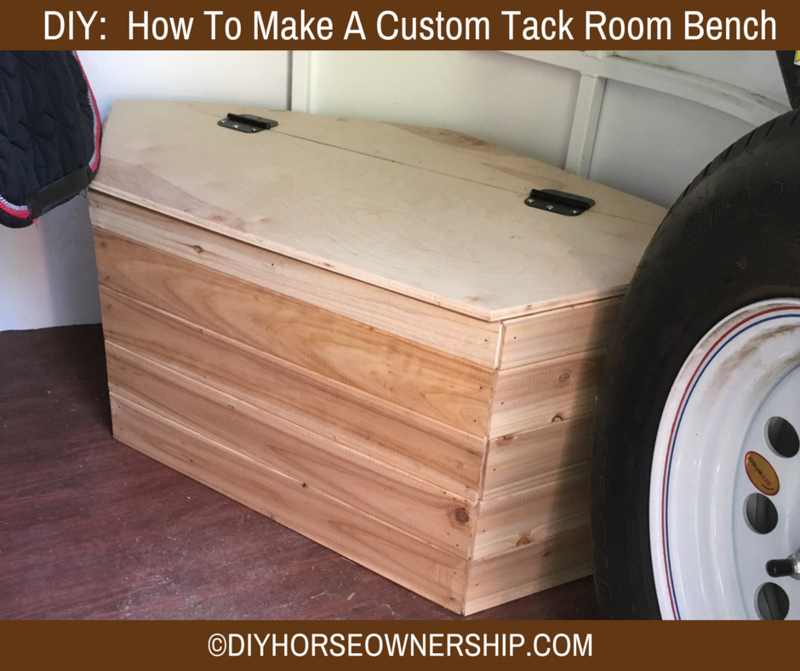 Place it in your trailer tack room. You can see it fits perfectly since it’s based on our original carpet template. Another optional step is to make a cushion for the top. I used the same carpet template to make the cushion. 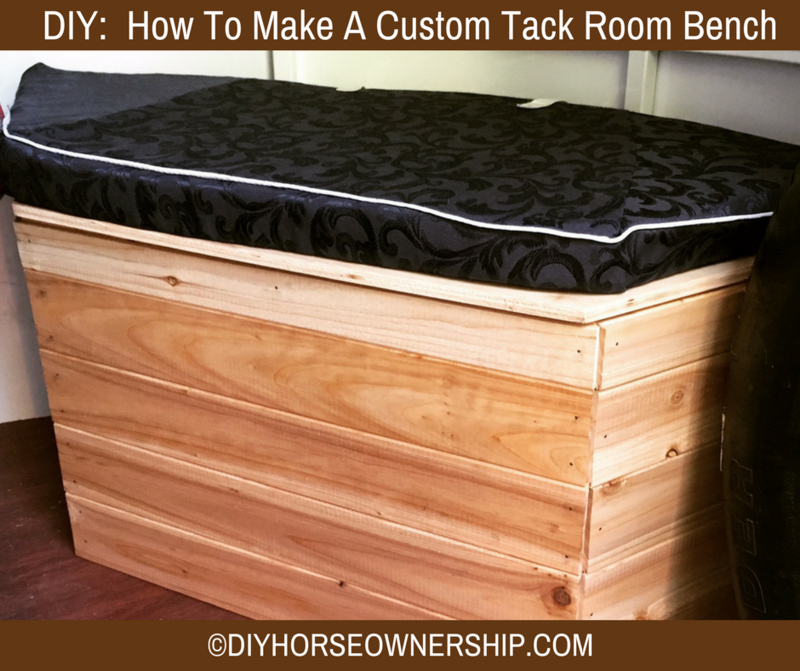 I used foam, fabric I had around the house, and piping and straps from a saddle pad. I also bought some storage bins to keep things organized inside the bench. It holds a lot of stuff. We’ve now had the bench installed for a few weeks and I really like it. It holds a lot of stuff, but keeps everything out of the way and out of sight. And best of all; I finally have somewhere to sit when changing and putting on boots and half chaps. Wow! That’s wonderful! Good job. Thank you. We’re really happy with it. WOW. This is amazing – and seems so doable after your breakdown. One of my goals for the summer is to have my contractor boyfriend teach me how to use one of his circular saws. It’s the only thing preventing me from taking off with more DIY projects (maybe this is a good thing…lol). So many things I want to do…this project being one of them! 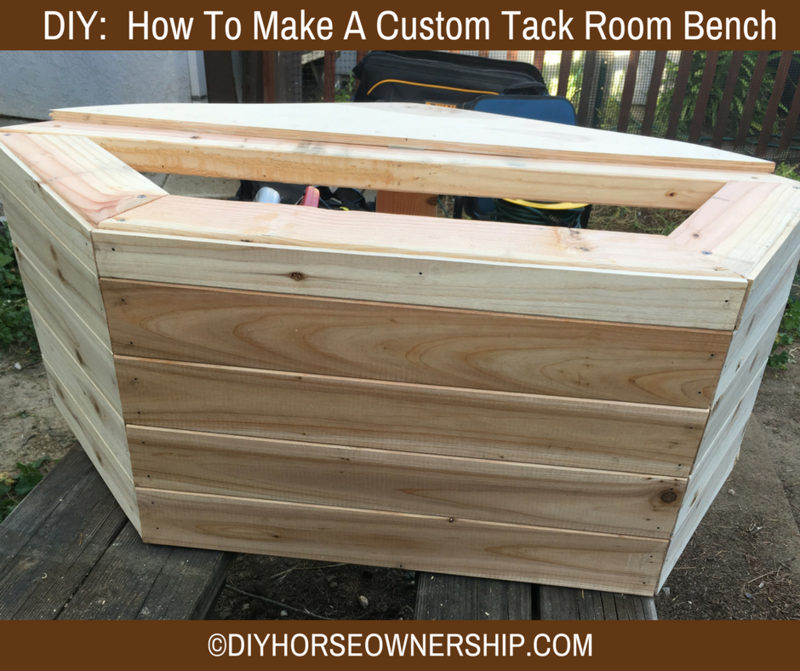 This is a pretty easy project once you know how to use all of the tools. Ooh that looks great! The storage bench in my trailer is absolutely one of my favorite things about it! Yes. I really like the one in yours. If you pay for the flight, sure. That looks amazing. 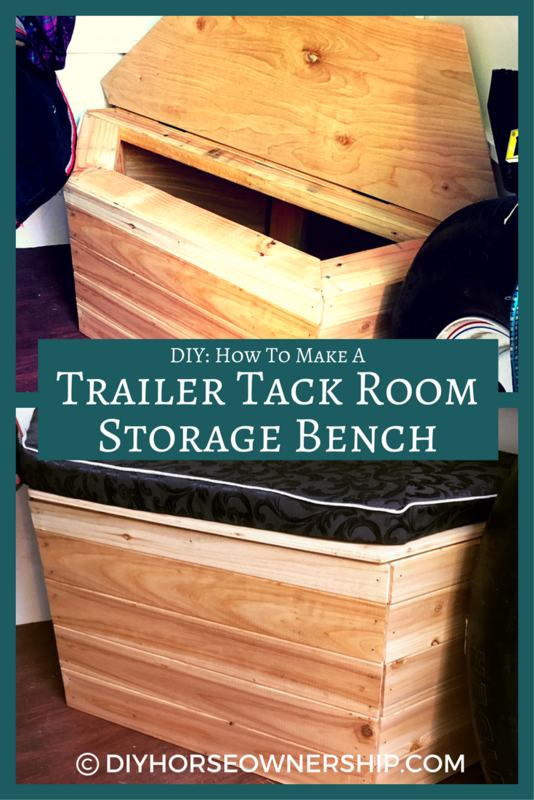 I really want a bench in my trailer as well, Maybe I will attempt to make my own. Do it! It was really not that difficult of a project. You are so dang handy! Love it! Great idea to make your own that fits perfectly. This is so awesome and turned out so great!